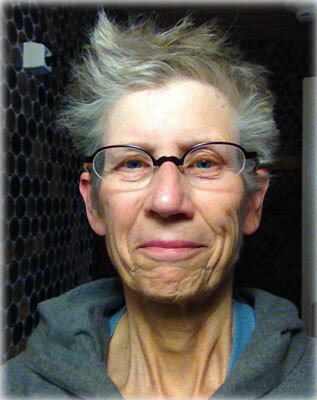 Hulda has been a certified and practicing acupressurist since 2001. A graduate of the 1,000 hour program of the Acupressure Institute in Berkeley, she has been a teaching assistant at the Acupressure Institute, the Academy of Chinese Culture and Health Science in Oakland and Five Branches University in San José. In 1996 she began studying and practicing Dayan (Wild Goose) Qigong, completing the teachers class at Wen Wu School in El Cerrito in 2000. She has also studied a Wu style of tai chi and is currently studying a Yangtaiji style. From 2006 to 2009, Hulda taught acupressure to her high school Health Science at Gompers Continuation High School in Richmond. After retiring from 25 years of public school teaching in 2012, she began teaching acupressure self-help classes at West Contra Costa Adult School, where she continues to offer a variety of classes. She also offers classes at Hana Holistic Medical Center in Berkeley, as well as privately. Hulda considers her role as an acupressurist that of an assistant — “jumper cables” as it were — for Universal Energy to balance a person’s energy for vibrant health.